Welcome the Spring with some acrostic poem writing, helped by our cheerful printables! Many of these pages can also be used for writing and drawing frames and notices, too. Use this pretty acrostic paper to inspire an acrostic poem for the word BUTTERFLY - a little challenging, perhaps? Four versions available below. Challenge the children to an acrostic poem using the letters in the word DAISY - such a nice activity for a spring day! These printables also make lovely writing or drawing frames. You will find 4 separate pdf files zipped up together below. Get the kids to write an acrostic poem about a lamb - perfect for Spring or a farmyard theme - and use our printable pages to write it out and put it up on display. Write your own acrostic poem about snowdrops using the letters to start your sentences. Choose from four printables below. 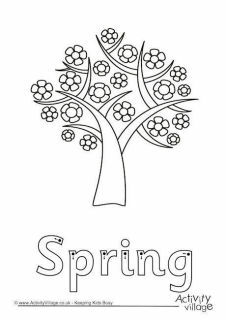 Encourage the children to write a poem about spring with this pretty printable. We have a lined and unlined version. It also makes a great writing or drawing frame. Here's another printable for writing an acrostic poem about S-P-R-I-N-G. Choosed from a lined and unlined version. Use these pretty printables to encourage some poetry writing. Children will need to write five lines, each starting with the appropriate letter of the word T-U-L-I-P.